I decided to cut back on a lot of the extra things i had and just finish off with this being the rate for now. and i didn't include comics because it takes a ton of work and doing those pages back to back tend to wear me down while drawing. I'm trying to get myself situated with, most likely, a new computer. i need all the help i can get though. 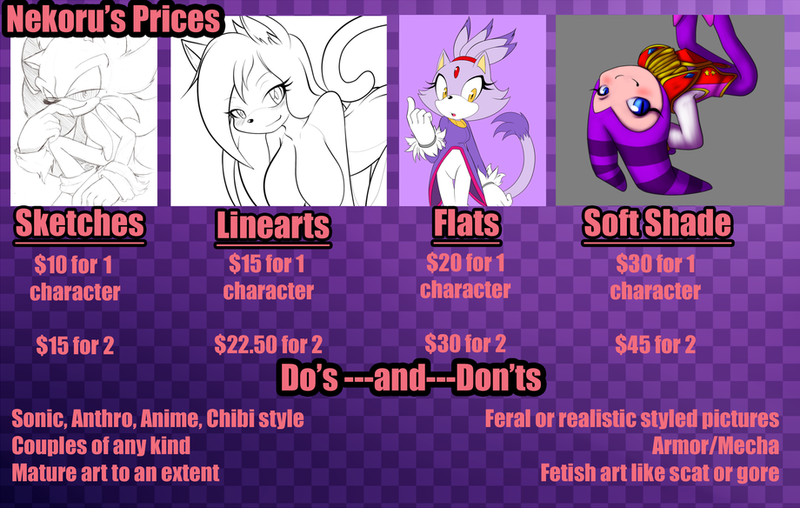 if you can't help by commissioning me yourself, could you kindly spread the word? thank you again! It's been a while since you have published things here on inkbunny. Are commissions still open?